Book your Beer Bike online! 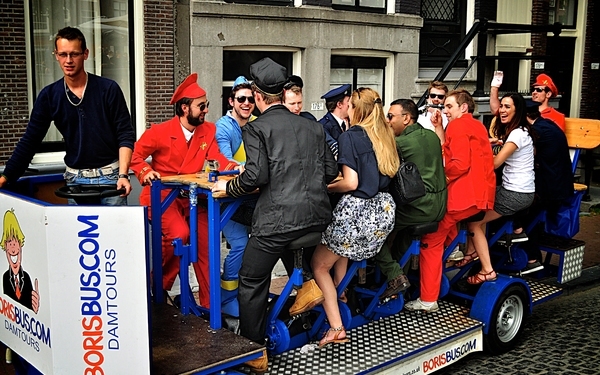 See the best of Amsterdam with this Beer Bike Experience. 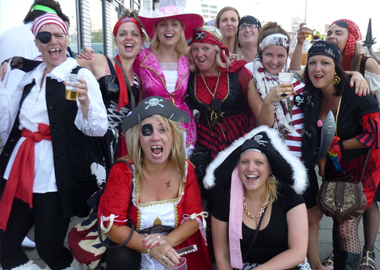 Ideal activity for your stag or hen party! 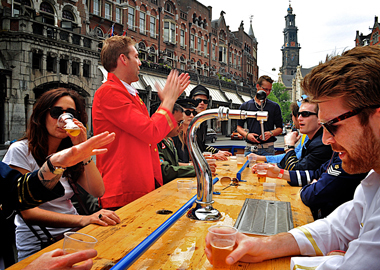 You can tap your own cold beers and the sober driver will let you see some of the best hotspots of the city with this tour! 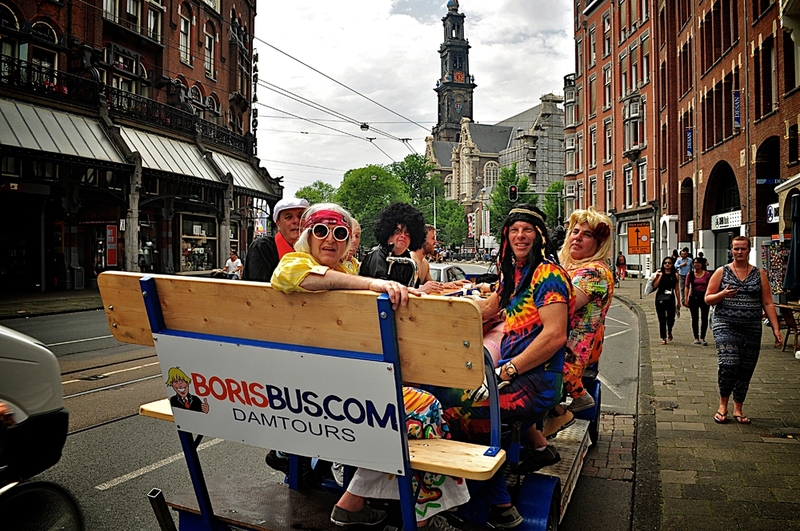 Are you ready to discover Amsterdam with your party crew?! 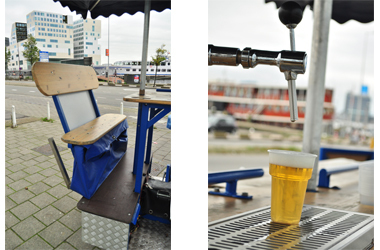 For groups with different taste we provide the Beer & Bubbles Bike. 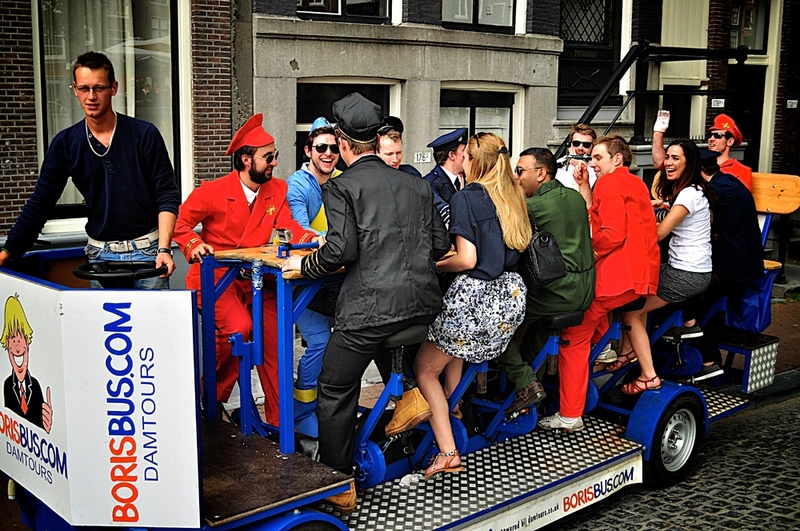 Complete your event in Amsterdam with this private group bike tour. The sober driver of the bike will let you see the hotspots near the city center. The tour is private for 1,5 hours and includes 5 bottles of Prosecco (0,75ml) and 20L of COLD beer, cheers! 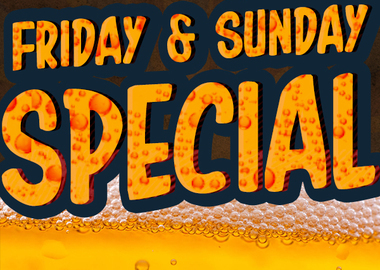 We offer the Super Friday + Sunday Beer Bike Special in order to start off your weekend perfectly or to end it with a laugh! Tapas restaurants are becoming increasingly popular and what could be more fun to combine that with a delicious pace through the Amsterdam canals. This cruise is a real hit to enjoy carefree drinks and snacks. There is something for everyone. Besides the beer bike we also have beautiful boats sailing in Amsterdam. Make a cruise in two hours through the famous canals of the capital. 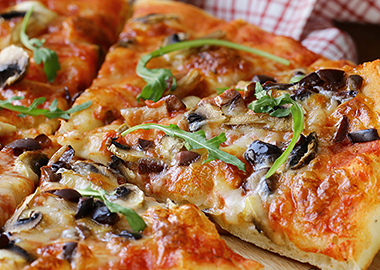 Besides a skipper on board, there will be a professional cook as well who will provide you with delicious food. Besides the bikes we also have the possibility to sail by boat. 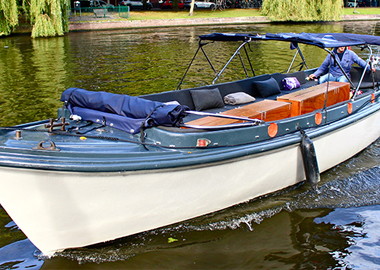 For example, on our old-fashioned rescue boat Hugo from 1967 you will experience a wonderful day on the Amsterdam water. 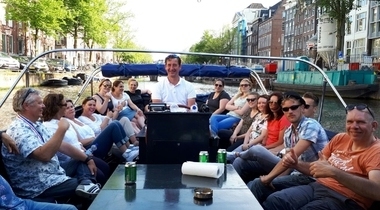 The boat is electrically powered and therefore it is possible to sail silently with a group (of up to twenty people) through the Amsterdam canals. 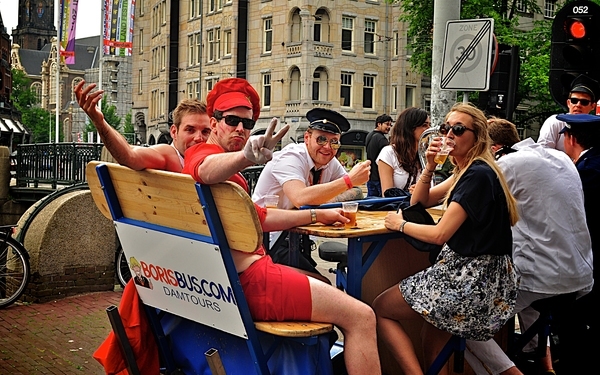 - You can book the Beer/Prosecco Bike online for the best rate. 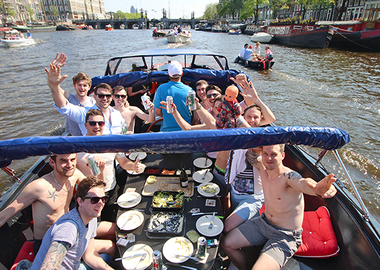 Private Canal Cruise on the famous canals of Amsterdam with food and drinks! We have also our own boats on the famous canals of Amsterdam! 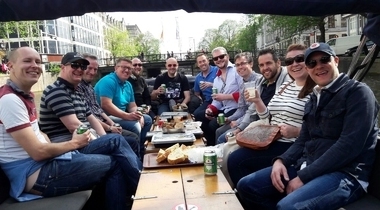 We provide booze cruises with BBQ;s, Burgers, pizza;s, tapas and many more great cruises! 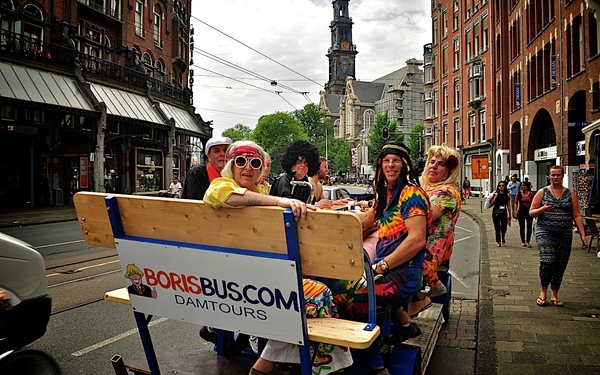 See our website www.damcruise.co.uk for all our boat tours in Amsterdam! If you want the group bike + private canal cruise, let us know and we will give you special package deals! 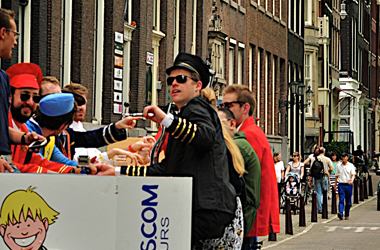 Are you ready to discover Amsterdam? In 24 hours you will receive the best offers!